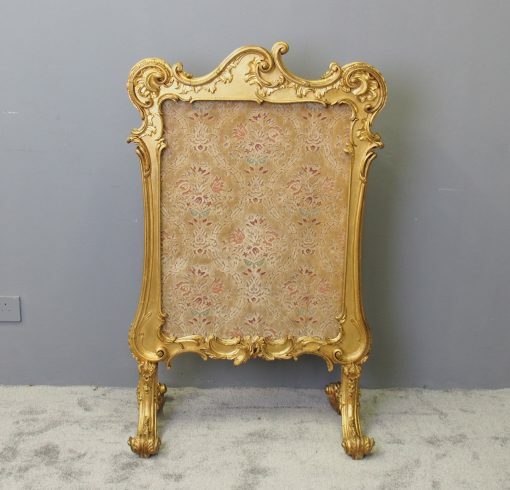 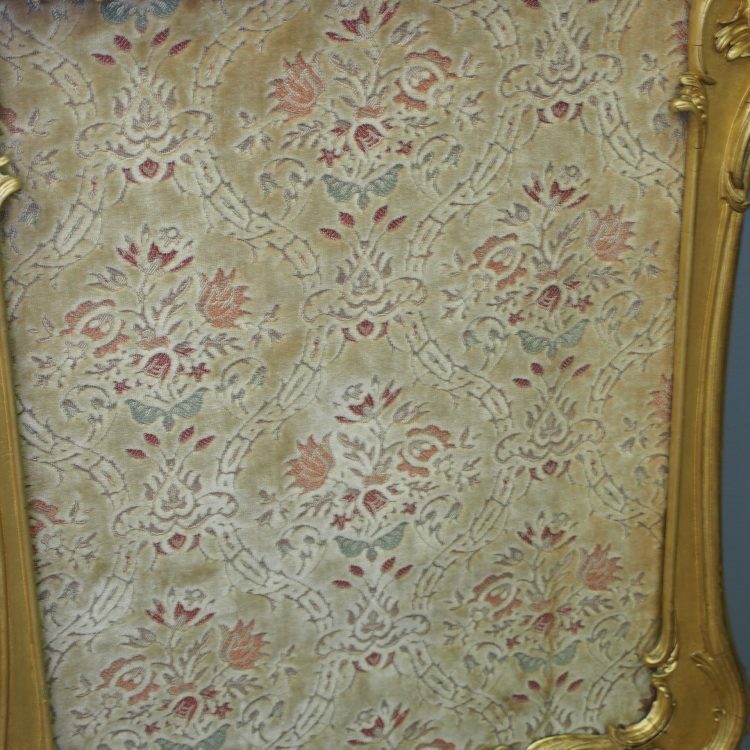 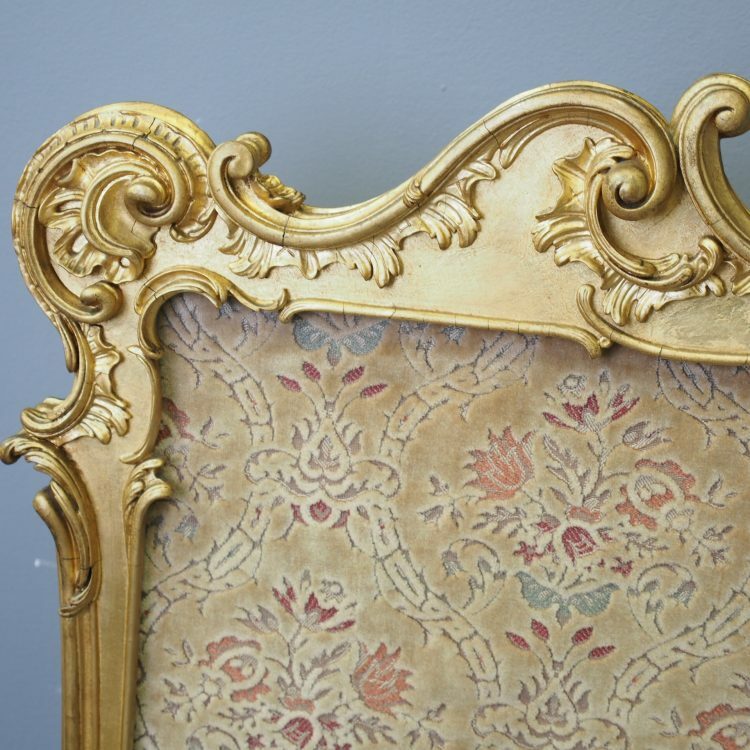 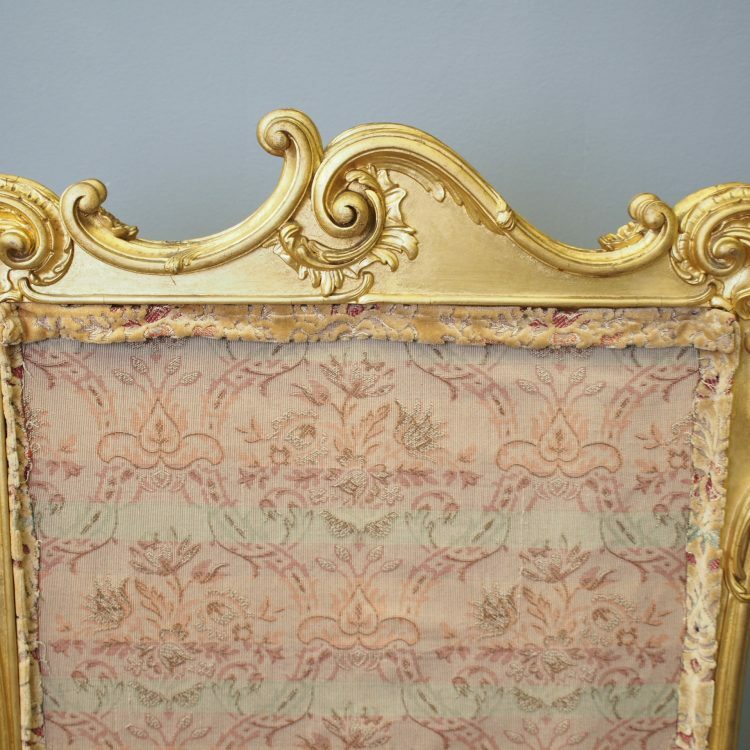 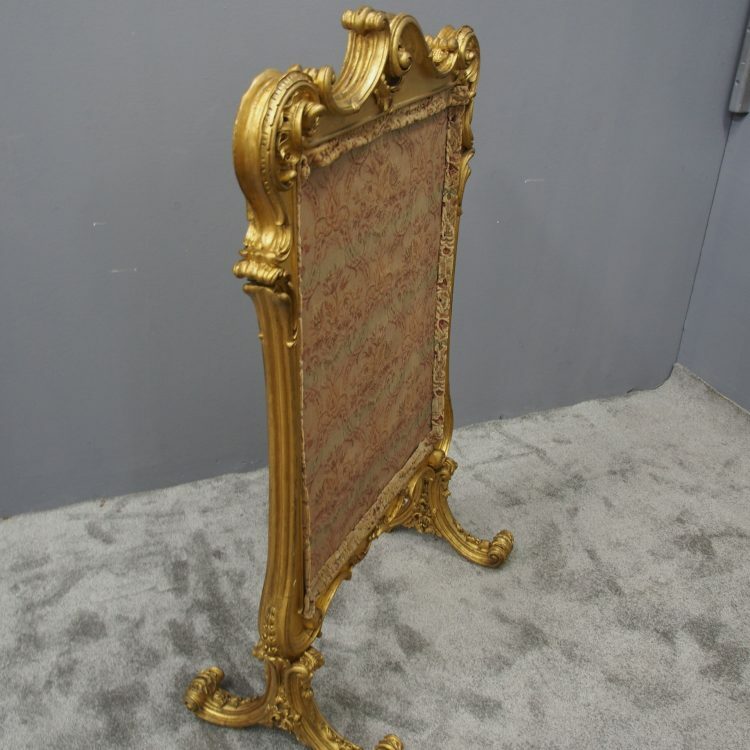 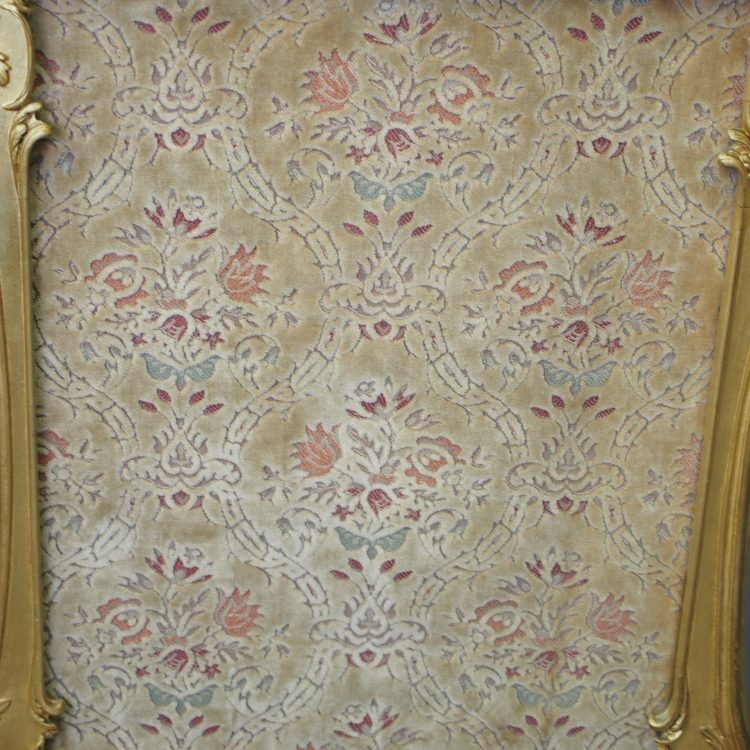 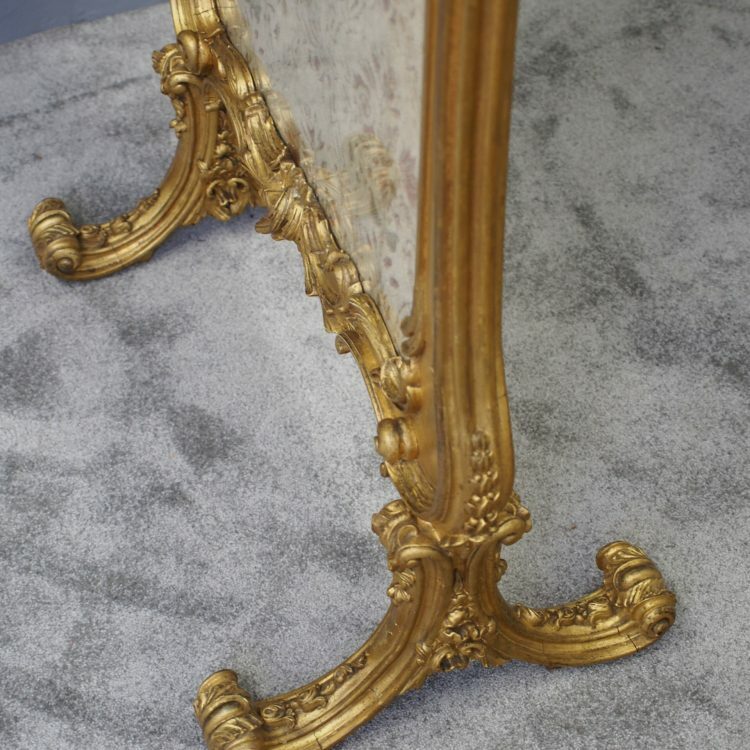 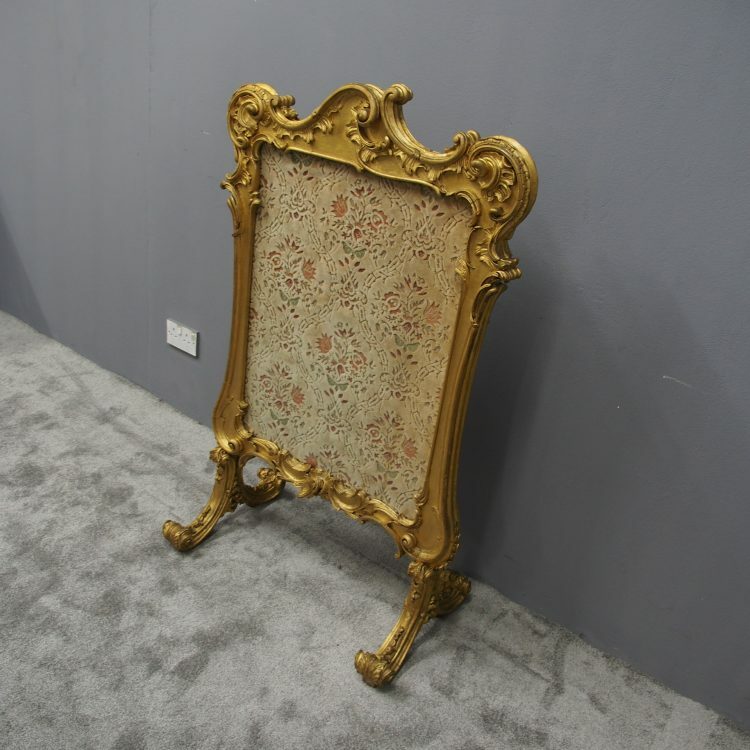 Circa 1870, Chippendale style carved giltwood and gesso freestanding double-sided screen. 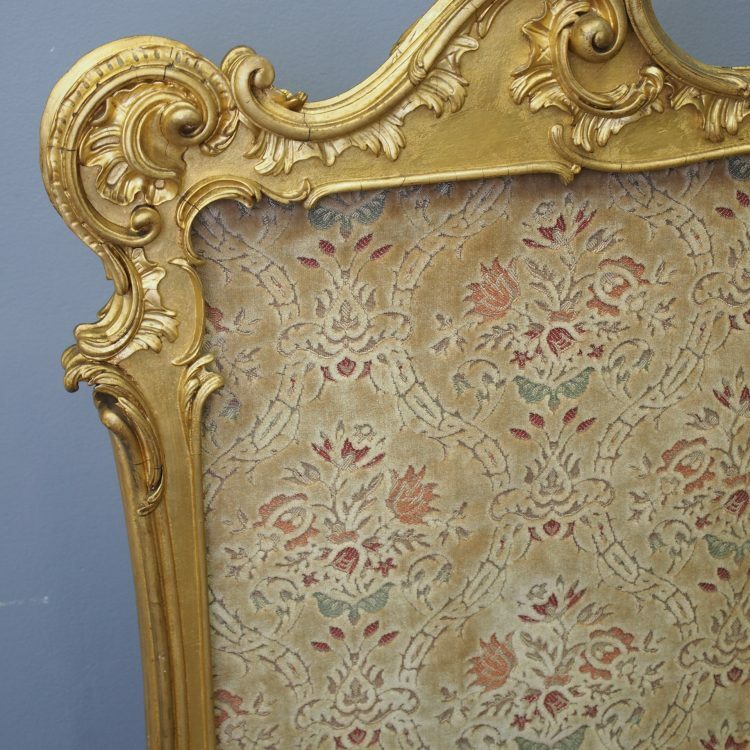 With a glazed central section, which has fabric to the back, it is profusely carved on both sides, meaning it is freestanding. 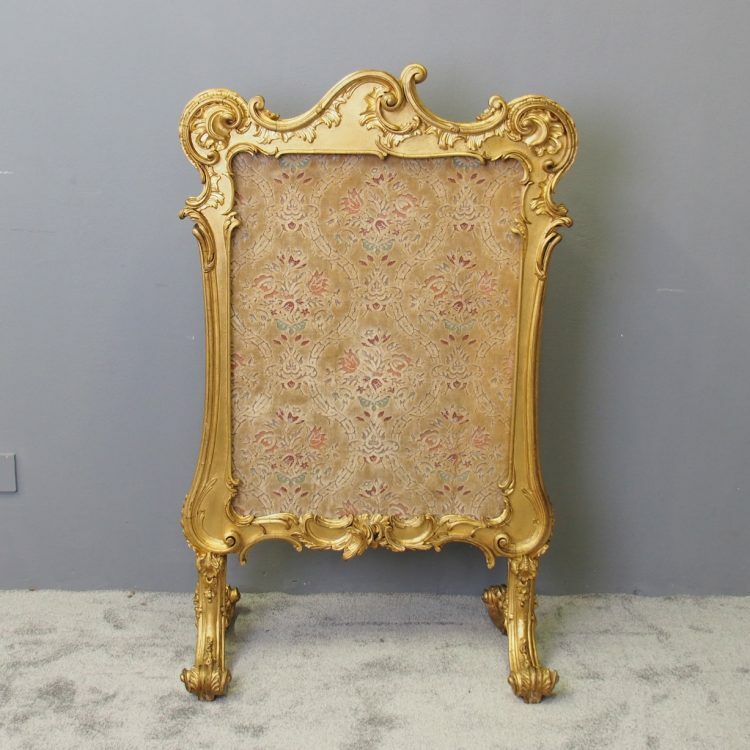 It has a pattern of c-scrolls and foliate carving to the top and bottom, and it all stands on 4 squat carved legs with scrolling toes and bell drops to the knees.